Carrot Varieties - What's the Difference? 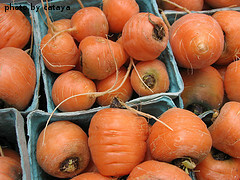 There are several types of carrot varieties available to the backyard vegetable gardener. 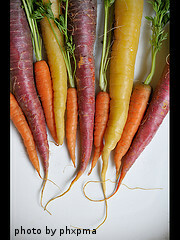 Some folks are surprised to learn that carrots come in different shapes, sizes and colors. Generally speaking, the smaller the carrot, the faster it matures. Larger carrot varieties can take up to 80 days to reach maturity, while smaller varieties can reach their full size in just 60 days. We like to plant a few different varieties and sizes. 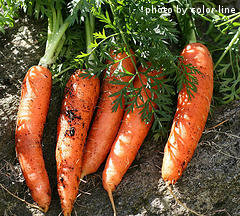 This gives us a nice mix of different carrots and also extends the harvest season. We also spread out the planting times over 7-10 days. This way, we get a steady supply of carrots over several weeks, instead of getting them all at once.